Join a cast of characters from the theater and restaurant worlds in an event that celebrates the way food can be art and art can be nourishment. This pecha kucha style event will feature short monologues, performance or tiny Ted Talks from the likes of food photographer Emily Loving, cocktail wizard Kyle Hilla, restaurant designer Sean Garman, and chef Peter Barlow, as well as a cannoli pop-up from chef Nina Angelilli. 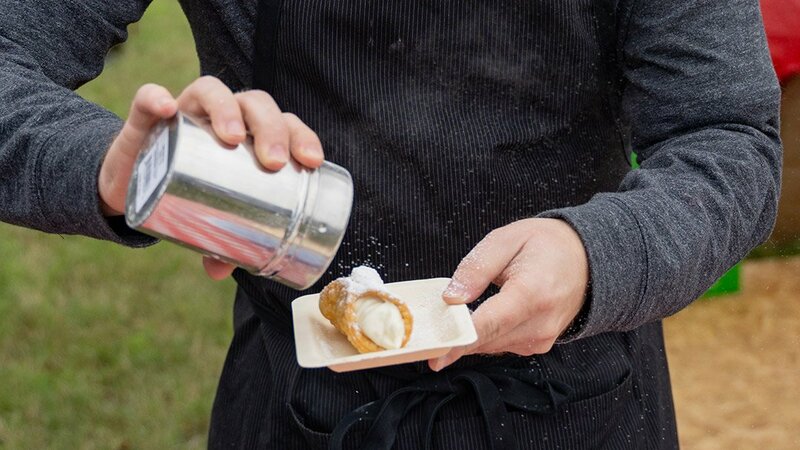 These cannoli events are brought to you by Pastry King, the new play by Scott Zenreich that will have its world premiere at the Wyly 6th Floor Studio Theater April 23 – May 5, 2019. Pastry King is proud to be part of the AT&T Performing Arts Center’s 2018/19 Elevator Project series.